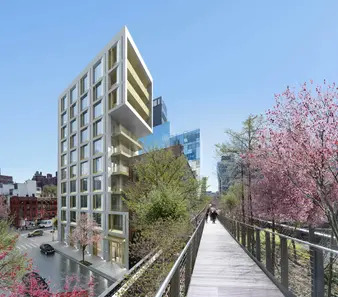 This is now under construction next to the high line. 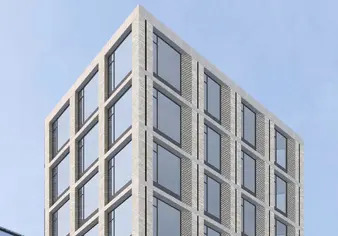 The on site massing shows a cantilever on the west side which did not appear to be on the renderings in the article above. The tree in the render strategically covers the falling apart auto body shop that still remains and is attached to that dirty parking garage.